CIS was founded in 2005 on the premise that Social Determinants of Health (SDOH) reflect social factors and the physical conditions in the environment in which people are born, live, learn, play, work and age. Fundamental to this premise, and with a mission to impact public health in a positive manner, CIS used the Community Guide’s Model for Linking the Social Environment to Health (see enclosed). 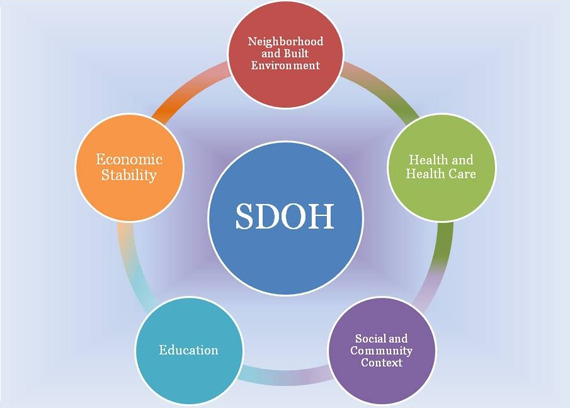 Per the U.S. Department of Health and Human Services (HHS) HealthyPeople.Gov Website, SDOH impact a wide range of health, functioning and quality-of-life outcomes. Per the Health and Human Services (HHS) HealthyPeople.Gov Website, Barriers to accessing health services include: Both access to health services and the quality of health services can impact health. CIS, in partnership with SCAN Health Plan and Medical Groups directly address access to quality health services. Lack of access, or limited access, to health services greatly impacts an individual’s health status. For example, when individuals do not have health insurance, they are less likely to participate in preventive care and are more likely to delay medical treatment. CIS networks with a variety of health organizations and local non-profits to overcome these barriers for dual-eligible (Medi/Medi) seniors. CIS provides constant community outreach in the San Fernando Valley to seek out seniors who qualify for our preventive health services. We educate seniors and their families and assist them with systems navigation to access the preventive and clinical health services available to them. CIS provides a comprehensive, socially-integrated preventive health program for high-need seniors with aging challenges including early stage memory loss, and adults with developmental disabilities including Autism. 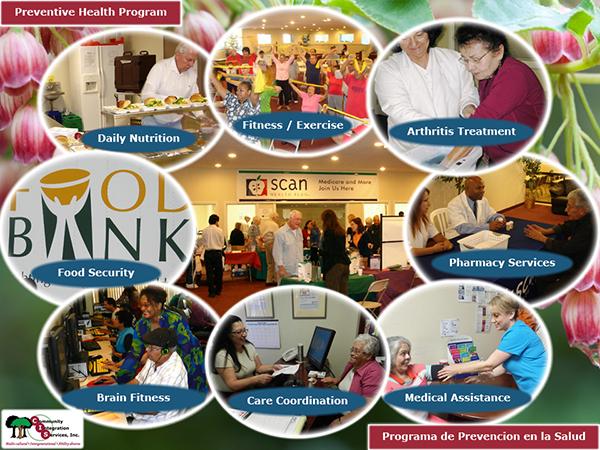 Preventive Health program components include an Open Senior Nutrition program (breakfast and hot lunch) partially funded by the City of Los Angeles Department of Aging. CIS assists with food security as a host site for monthly food distribution via the Los Angeles Regional Food Bank. Fitness program includes machine-based circuit training, aerobic chair dance, community walks and Zumba classes. CIS partners with health care organizations including SCAN Health Plan, the Alzheimer's Association, Partners in Care Foundation, and Facey Medical Foundation to provide health education and health screenings. CIS partners with North Valley Pharmacy for weekly medication delivery and membership assistance with pill boxes to reduce medication errors. CIS provides Medical Assistance and Care Coordination services; these staff assist members with navigating the complex clinical/medical service system, arranging doctors' appointments and transportation to appointments. CIS, via a grant from the Verizon Foundation, provides a scientifically proven Posit Science Brain Fitness program in our Computer Learning Center to assist members to sustain and improve memory. The CIS social model preventive health program serves nursing home-eligible participants with modest acuity; CIS is able to do this with the assistance and support of various healthcare organizations and other local non-profits. Naturally therapeutic programs and activities such as Performing Arts (drama), Visual Arts, music lessons, dance classes and gardening support members' in emotional well-being. Internal volunteer opportunities help members to feel vital and productive. The preventive health program is much less expensive than Adult Day Health Care, of which many of our members would qualify. The CIS program was recognized by the California Commission on Aging (CCoA) in November 2011 for innovation and broadening the scope of what Senior Centers can do.